Kalamansig, one of the three coastal towns of the Province of Sultan Kudarat offers countless adventures to experience, destinations to see and activities to do. I visited the town last month and in just three days of staying there I admit I already fell in love with the place. Kalamansig is blessed with a rich environment and outstanding sights. The town has abundant coastal and marine resources and is known for its beaches, beautiful sunsets -- and most of all the friendliness of the locals. People of Kalamansig are always happy to welcome visitors and friends. Below are just some of the things you must experience when you're in Kalamansig. Enjoy a wonderful morning walk around the municipal plaza where flowers bloom all year round , listen to the birds singing and feel the fresh air. This is priceless! Spend a night at Poral, a long stretch of beach resorts located in Brgy. Sta.Maria. Enjoy swimming, and in the morning, take a cup of coffee while walking on the beach barefooted. That's romantic! Tayandac White Sand Beach is just few meters away from Poral. Don't missed going here. Kalamansig is known for its beautiful sunsets. Make sure to bring your camera with you. Go island hopping in Kalamansig. The town has six (6) sparsely-populated islets with long stretch of white sand. 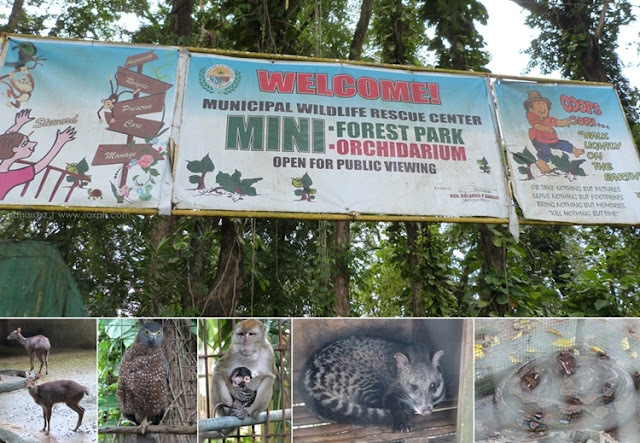 The Municipal Wildlife Rescue Center or mini-zoo is located just near the town plaza. Bring with you snorkeling gears when going to Kalamansig. Go diving and explore life under the sea. Balut Island is located in Brgy. Paril and is the largest of the six islets in Kalamansig. The island is known for its powdery white sand and is one of the sites recommended for snorkeling or scuba diving. It can be reached through boat ride from Kalamansig Port (30 minutes) or by land (1 hour). The town's founding anniversary is held every 4th of December while Salagaan Festival is celebrated on the last week of July. Both events is a good opportunity to learn about the history of Kalamansig and experience the rich and diverse culture of the people.